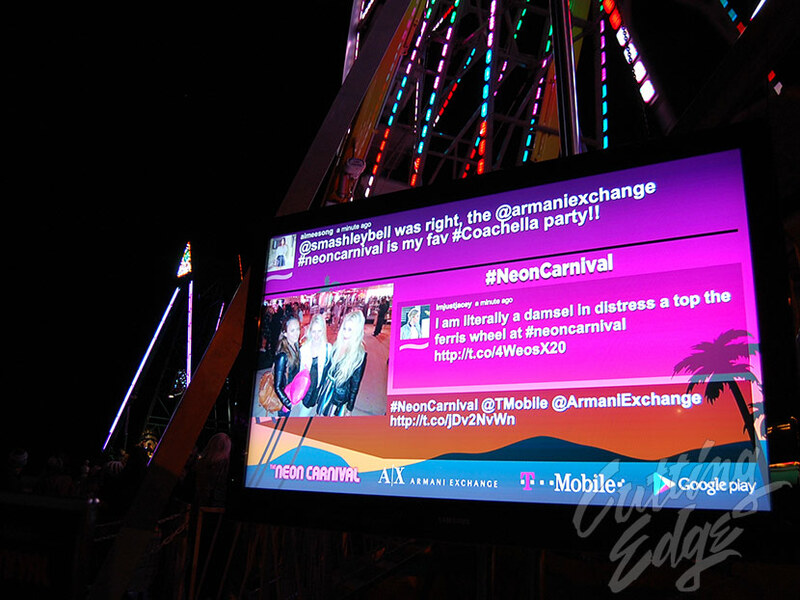 Social Media is now a critical part of corporate America's marketing effort. 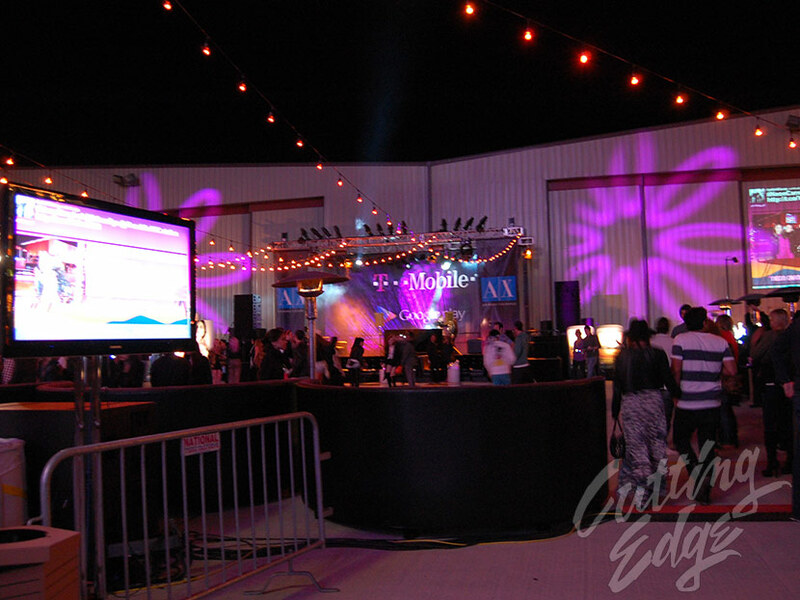 The pictures above are from a multi-sponsor after-party that we helped with. 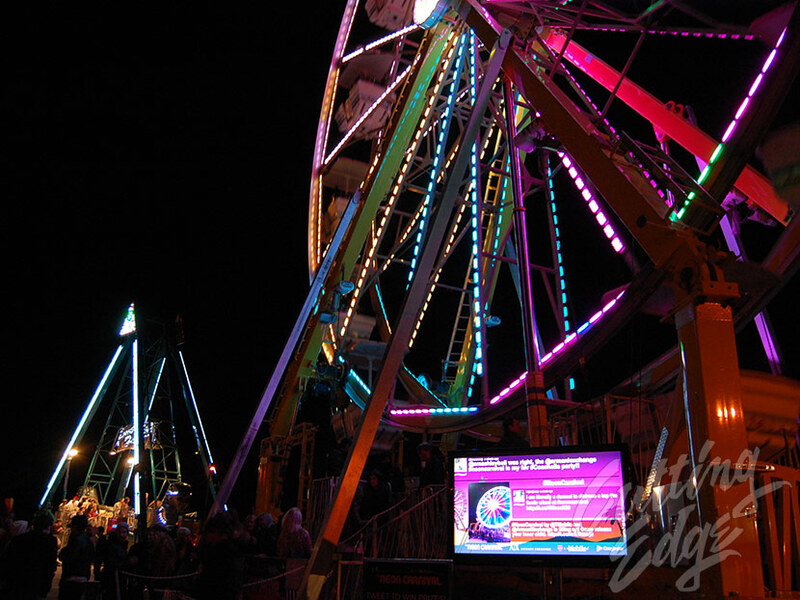 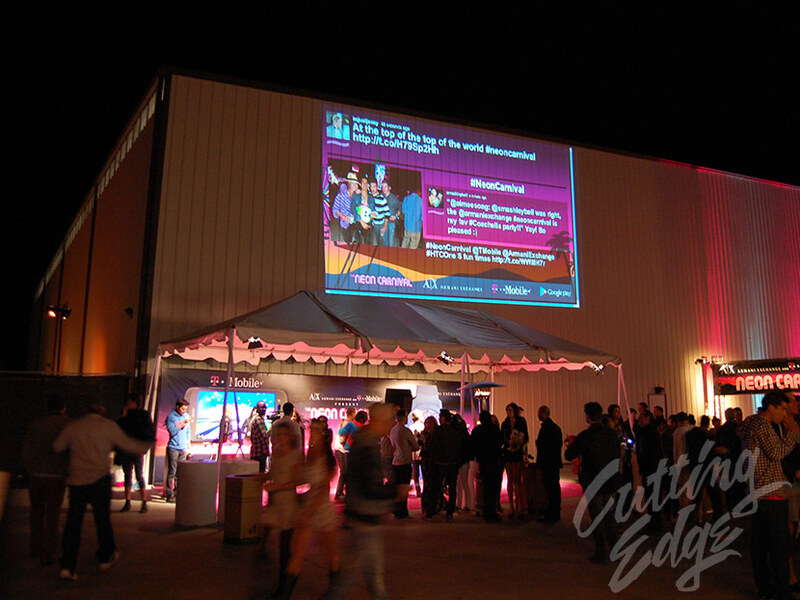 We distributed High-Definition footage and Tweets over several acres of this outdoor event. 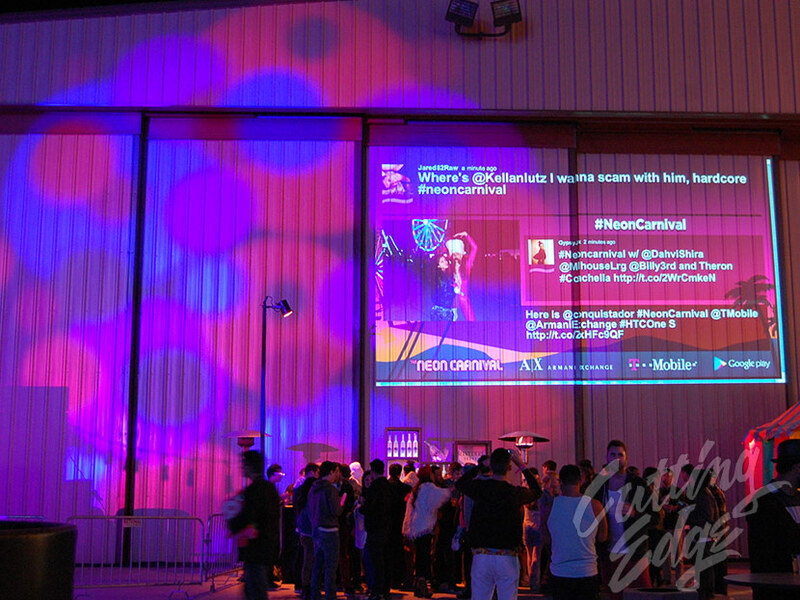 There were multiple HD LCD Projectors and a dozen HD LCD screens that displayed the party-goers tweets over the course of the night. 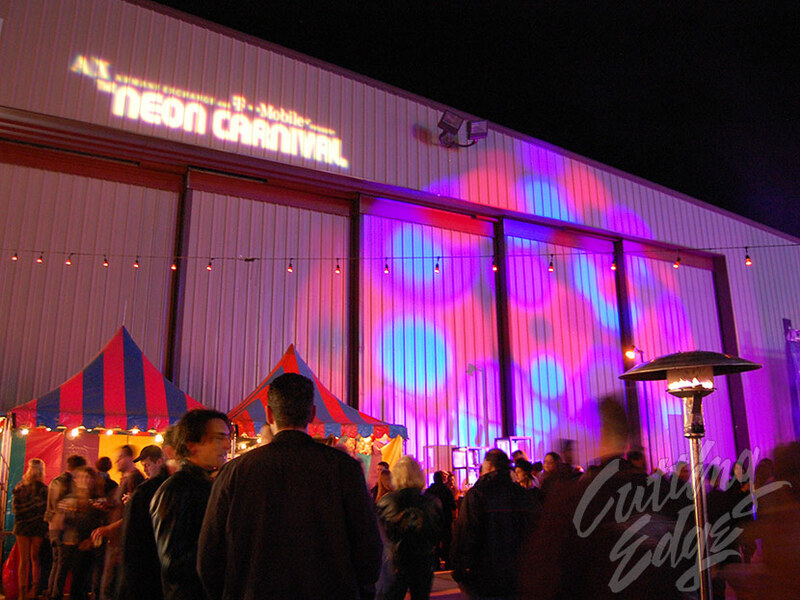 Let us help you with your marketing events.